Ask fellow campers about "Barrie KOA" and nearby attractions. Nice park, friendly staff. Would definitely stay here again. We camped at Barrie KOA in a Motorhome. We rented site #40. Not set up for small children. Our toddler Grandson and infant Granddaughter visited but the site was very sandy, kind of like a desert as huge amounts of people rent the sites and it shows as no grass is visible. Be prepared for a dusty stay here and with small children playing in the sand makes (toddler playing with cars) it impossible to keep clean. It's a family structured campground. No drunk adults, just decent families all wanting to get away and have a place for their children to go wonder and join the activities and play. Not the place to go if you want peace, quiet and privacy. The sites are small very close together, you can see a lot of other yards and hear other conversations too. 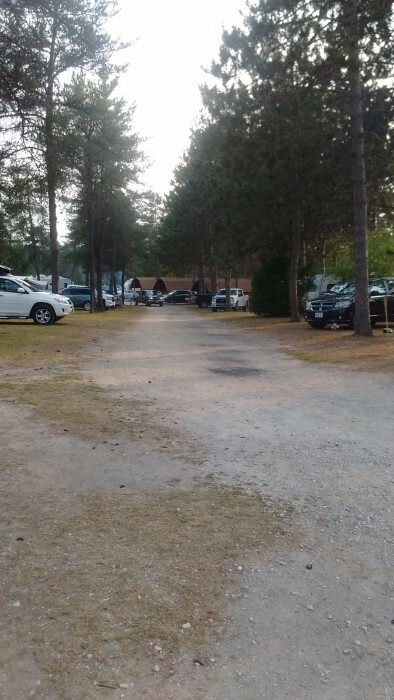 Cars are very often driving by too.. We camped at Barrie KOA in a Travel Trailer. We come here at least once-a-year to the adult section. This year the WIFI has been significantly improved. My only complaint is that for the above average cost of this park, the adult section (Cedarwood Run) should be adult only. The spot beside us had lots of kids visiting during the weekend. Kudos to the campground for putting in brand new gas BBQs in the Cedarwood Run sites. We camped at Barrie KOA in a Fifth Wheel. Don't forget to order Pizza from Bando's Pizza (on site). There is a grocery store with Beer/liquor within 5 minute drive. We have stayed here many times - one of our favourite locations. On the plus side, the adult area is fantastic, large concrete sites with privacy and full service. On the con side, we rarely saw staff. When we arrived the previous site user's garbage bag was blocking our driveway. The free WIFI is seriously underpowered and slow. I still like the park, but I question the price. We camped at Barrie KOA in a Fifth Wheel. The on-site pizza is very good. Also, when in Craighurst, check out the chocolate manufacturer - really, really good chocolate. 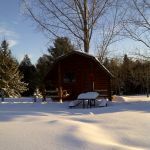 Top KOA in Ontario. Well maintained. Level lots We camped at Barrie KOA in a Motorhome. 5 minutes to the locks and downtown. Very quiet. We have been seasonal in the adult section for several years. Management has let this section go down hill. They have not put any money into this area. There is no cable TV, Internet does not work, dirt roads which cause dust storms by everyone using them and although the pads are concrete and a nice size they have never been cleaned and the dirt and mold is taking over. Management has said to several guests the if they don't like it they can leave, there's a waiting list.. We camped at Barrie KOA in a Motorhome. When driving in park drive extra slow. The dirt roads wash out in spots and they don't fix. All the washouts are on an angle and this causes a coach to rock. We travelled with another fiver and we had sites 12 and 13. We had our doors facing each other. Wifi was weak. There was a fire ban on which was very disappointing. Better safe than sorry! We donated our beer bottles to the KOA kids camp and they also picked garbage up from our sites! Great place! 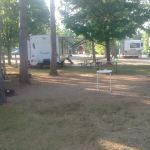 We camped at Barrie KOA in a Fifth Wheel. Nicely maintained sites with full hookups. We didn't take advantage of all the activities but there seemed to be plenty for families. We camped at Barrie KOA in a Motorhome. Rate based upon one night stay using KOA card. We stayed in a medium priced pull thru below the office. Sites vary greatly in price and you can choose how much to spend over a wide range. Ours was pristine with patio and rockwork borders. Wonderful restrooms and showers, gated park with helpful staff. 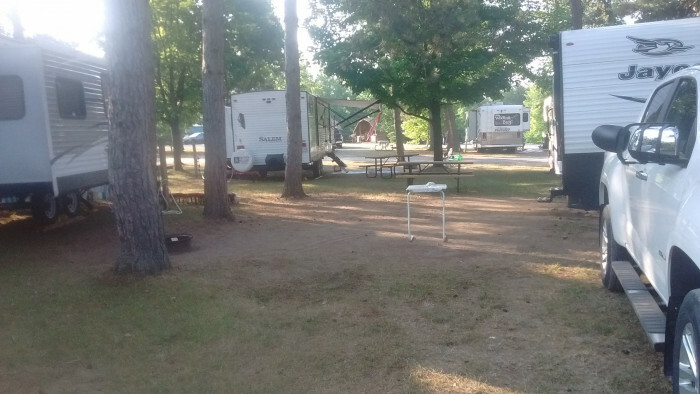 We camped at Barrie KOA in a Fifth Wheel. Not really in Barrie or near any stores or restaurants. Barrie is 10-15 miles south. Beautiful park. Easy in, easy out. Everything works...even the Wi-Fi. The only negative I can think of is the high price. We camped at Barrie KOA in a Fifth Wheel. 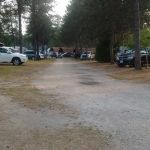 We are rating this park highly because of the new 'adult' section that is beautiful and far enough away from the rest of the campground for a peaceful visit. The site had a concrete pad and a concrete patio with a wrought iron table and chairs. There is sufficient spacing between sites. Great wifi but no cable TV. It is rated at a 9 because of the cost. It was $76 per night with a KOA membership card and I feel that's too high. We camped at Barrie KOA in a Motorhome. We have traveled coast to coast and this KOA has to be the top park we have stayed at in Canada. 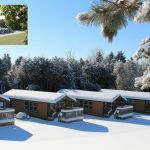 We are very particular with where we choose to stay and this KOA met our standards. The owners are extremely hospitable and are RV owners themselves so know what makes us all comfortable. We camped at Barrie KOA in a Motorhome. Nice site. Not big, but adequate. Excellent WiFi. Staff are great. We had a female staff member and she was awesome. Lots of activities, but quiet in site 44 at night. Great pizza delivered to site. Would return. We camped at Barrie KOA in a Fifth Wheel. They have an adult's only area, that is very nice. Concrete pads, great plants around the pad. Friendly staff, adult pool time, too. Very busy park. We camped at Barrie KOA in a Travel Trailer. In my opinion this is one of the premier KOA's that we have stayed. Immediately after a site is vacated, the staff are cleaning/raking the site, emptying the fire pit etc. One of the few parks that also pick up your garbage and recycling twice per day. Staff is very friendly and always more than willing to help out. We will definitely stay here again. We camped at Barrie KOA in a Fifth Wheel. 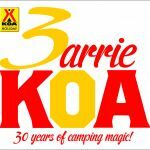 Are you affiliated with Barrie KOA ?